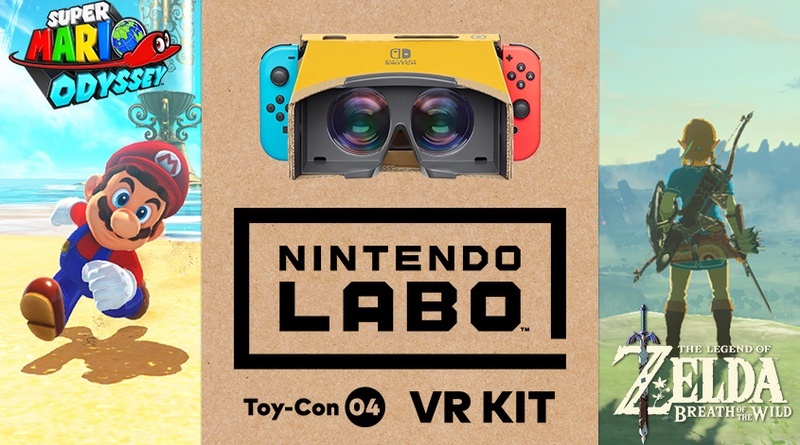 Nintendo Labo VR Kit is releasing on April 12, 2019 for the Nintendo Switch. It will include 64 mini-games as well as a bunch of other VR experiences and games. Honestly I was planning on skipping this Labo pack because it seemed like it would be a one and done experience and I already own PlayStation VR, no doubt a superior experience. Nintendo has just announced that Super Mario Odyssey and The Legend of Zelda: Breath of the Wild are going to support the VR goggles from the Labo kit. The former is receiving small areas in the Cap, Seaside, and Luncheon Kingdoms to explore in VR. The latter lets the player explore all of Hyrule in VR, which could be a fun experience! Then again, holding the Switch up to my face for extended periods of time may become problematic. Still, it’s going to be hard to resist picking up the Labo VR Kit now! Both games will receive free updates to support the VR goggles on April 26, 2019. Software update required. Games, system and Nintendo Labo: VR Kit sold separately.